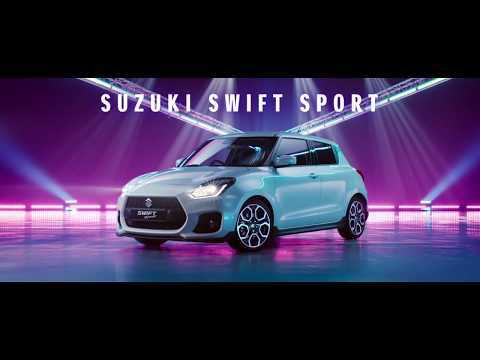 As the more power-hungry version of the new Swift, the Suzuki Swift Sport delivers the same good looks and comfort, with an added sports attitude, inside and out. The Swift Sport promises thrills and excitement from the moment you set eyes on it. Breathing new character into the Swift are exterior features such as a striking mesh front grille, impressive 17’’ alloy wheels and aerodynamic carbon-made details such as the one under the spoiler. The Swift Sport features a new 1.4-litre Boosterjet turbocharged petrol engine under the bonnet which delivers a responsive drive, while the vehicle’s lightweight build ensures superior handling, efficiency and acceleration. Available with a 6-speed manual transmission, the engine allows for 138 HP. Technology is a must in any vehicle, with the Swift Sport sure to exceed your expectations. The Suzuki Swift Sport comes with 17’’ alloy wheels, dual exhaust exits, sport exclusive seat upholstery, satnav, smartphone linkage display audio, DAB radio, keyless entry and start, rear parking camera, dual sensor brake support, lane departure warning and hill hold control. Featuring the same safety features as the Swift, the Suzuki Swift Sport features front, side and curtain airbags available, as well as technology such as an Anti-Lock Braking System with EBD, an Electronic Stability Program, ISOFIX child seat fittings, side impact protection beams, and a Tyre Pressure Monitoring system. The Swift Sport also features Lane Departure Warning and Hill Hold Control systems. Get in touch with Hardie of Stirling today to book a test drive with the new Suzuki Swift Sport and to find out more about our offers and finance options. You can reach us by phone on 01786 451616, or by completing an enquiry form.